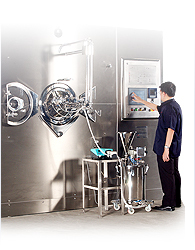 PMS was founded in 1979 as a manufacturer of pharmaceutical machinery. Our product lines have been gradually extended to cosmetic, food and chemical machineries. Following the success of the first factory, we established the second manufacturing facility in 1987. As a customer-oriented company, PMS is committed to offer high quality machineries and services to achieve utmost customer satisfaction. Our highly qualified and experienced team of design engineers and technicians are responsible for providing ideal solution, tailored to suit customer’s need. We aim to be more than just a supplier. We seek to be a partner of our clients.